Students from the BSc in Exercise Science and the BA in Exercise and Health Studies were busy exposing some common myths about cycling for transport recently. 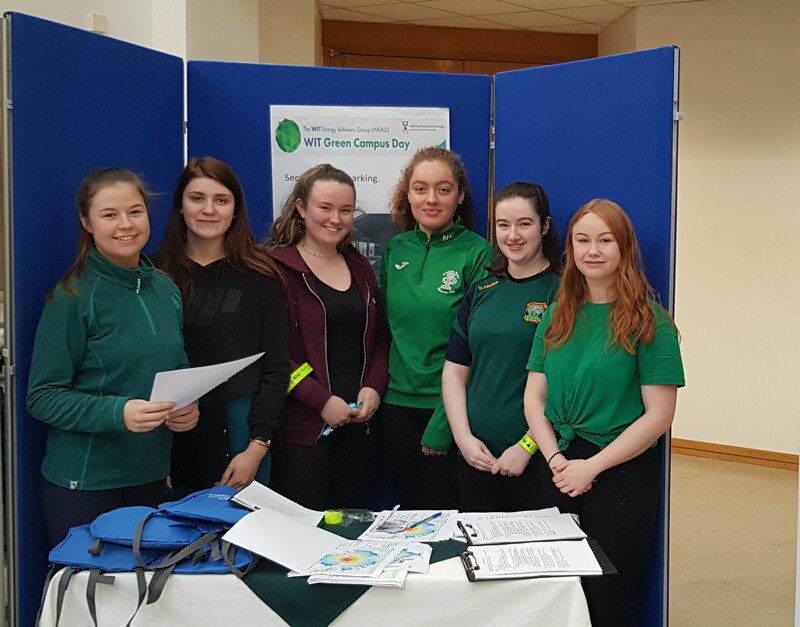 They co-ordinated an active travel promotional event as part of the recent Green Campus Day in WIT. The students engaged with over 150 of their peers during the event which was supported by Smarter Travel Workplaces. The problem is that only a minority of students and staff cycle to WIT. Lack of time and poor weather are major barriers to cycling. So in preparation for the event, our exercise scientists set about exploring these barriers and came up with some pretty unexpected results. One of the findings was that if you were to commute to and from WIT for 100 days, you are only likely to be cycling in the rain on 4 days - less than your chances of rain in Amsterdam! Also it turns out that choosing to cycle to WIT instead of driving is considerably quicker from all the main locations of student accommodation in Waterford. These facts prompted some interesting discussions throughout the event. This was a great opportunity for the Exercise Science students to test their skills in the areas of physical activity promotion, exercise psychology and motivational interviewing.